Posted on January 21, 2018 by revivewa	in Reviews and tagged Book review. A ministry colleague and friend tells me that only theologians are interested in theology, and many of the introductory books are heavy in both weight and terminology. By contrast, this very readable book is relatively short, conversational and reliable. Perhaps just as significantly, it makes clear the relationship between theology as thinking about faith, and theology as living out that faith in everyday ways. 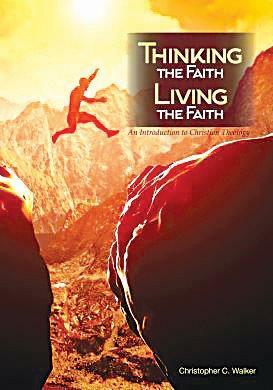 As an experienced disciple, minister, teacher and leader, Chris Walker is well placed to write this introduction to theology from the context and perspective of the Uniting Church. The book enables conversations by providing questions for personal reflection and group discussion. Instead of seeing such questions as a test, view them as an invitation into the conversation with Chris, and with the Christian faith. Chris writes with confident hope in the good news that Jesus Christ still offers – afresh in each context and time – to a desperate, broken and hurting world. Living out this good news is the task of every disciple, and of faithful communities together, and this introduction to theology helps us navigate the challenges of the contemporary world in thoughtful ways.